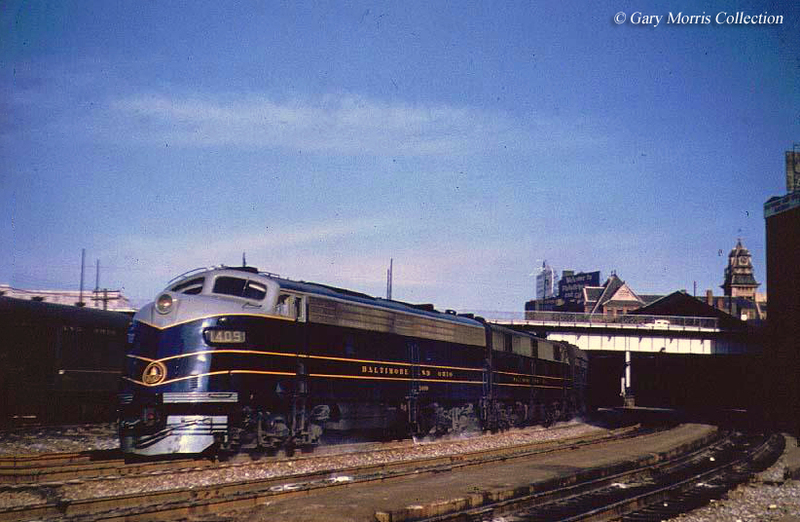 The Baltimore & Ohio's Diplomat served its Washington, D.C./Baltimore to St. Louis market and was the secondary run on this routing behind the posh National Limited. 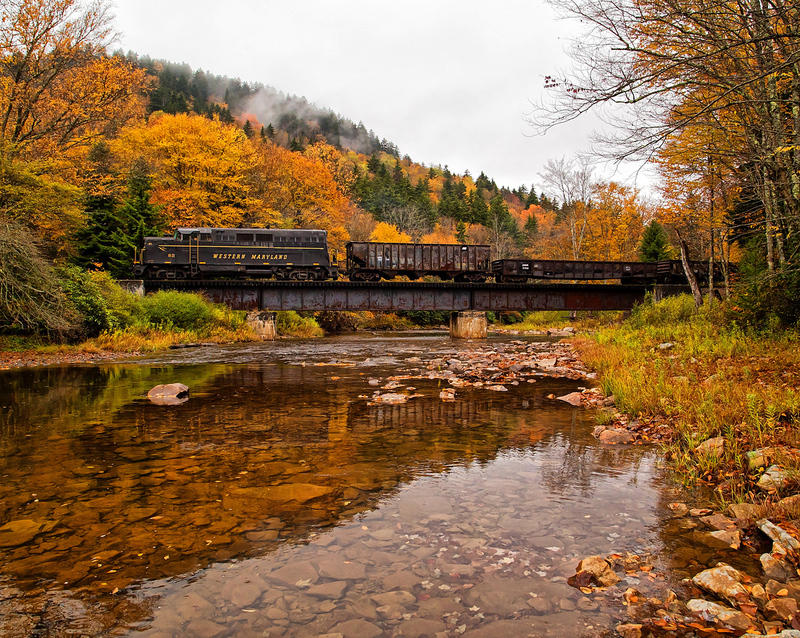 The train began as the renaming of another B&O consist during the Great Depression and while it never received the same recognition as the National the train was the nonetheless popular for many years thanks to its very fast scheduling and sleeper service. Due its second-tier status the Diplomat was one of the B&O's earliest trains to first feel the pinch of cutbacks during the 1950s. 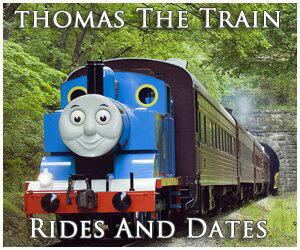 The railroad did its best in an attempt to keep up patronage on the train but to little avail. In the end, with the company's financial status very weak and needing to reduce costs the B&O canceled the train during the early 1960s. When the streamliner revolution took off during the 1930s the Baltimore & Ohio wanted to play second fiddle to no one and quickly embraced the concept. During 1938 it completely overhauled the Capitol Limited (serving New York - Chicago) with streamlining rebuilt from former heavyweight cars and the railroad was the first, along with the Santa Fe, to use streamlined diesels in regular service (Electro-Motive's EA/B and E1A/B models). 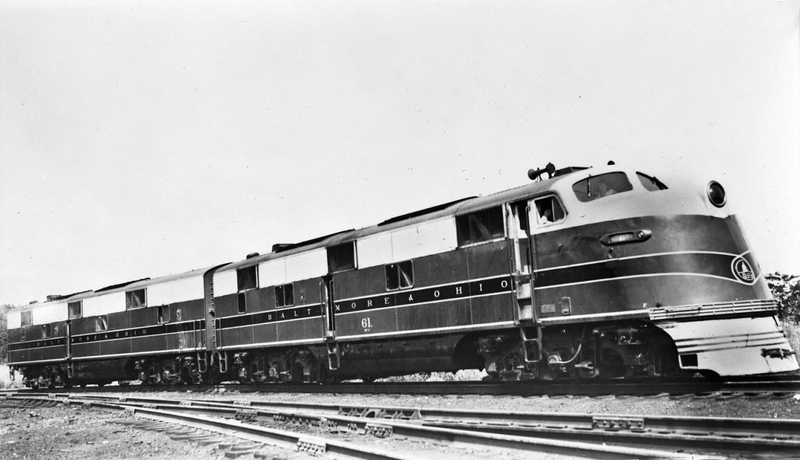 A few years later in 1940 the B&O also upgraded its National Limited with similar streamlining, which served the New York - Washington, D.C./Baltimore - St. Louis markets. Prior to the National's streamlining it had received its own second-tier train, the Diplomat, which was specifically aimed at handling the former's overflow passenger traffic. 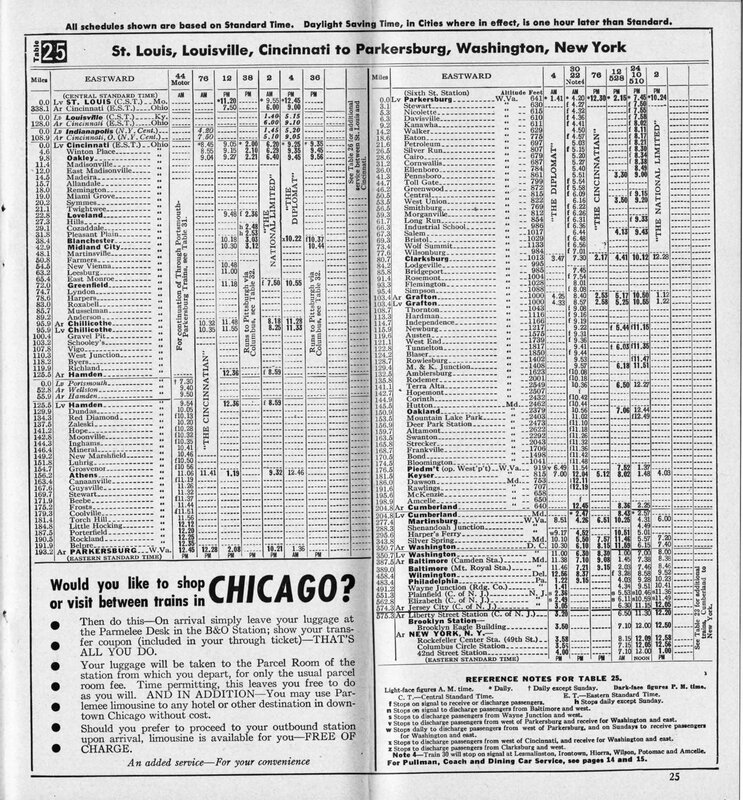 This train began service in 1930 of what was originally the New York-Cincinnati-St. Louis Special/St. Louis-Cincinnati-New York Special (trains #3 and #4), which carried overnight coaches and sleepers. It was briefly renamed as the Chesapeake Limited in the 1920s before becoming the Diplomat. 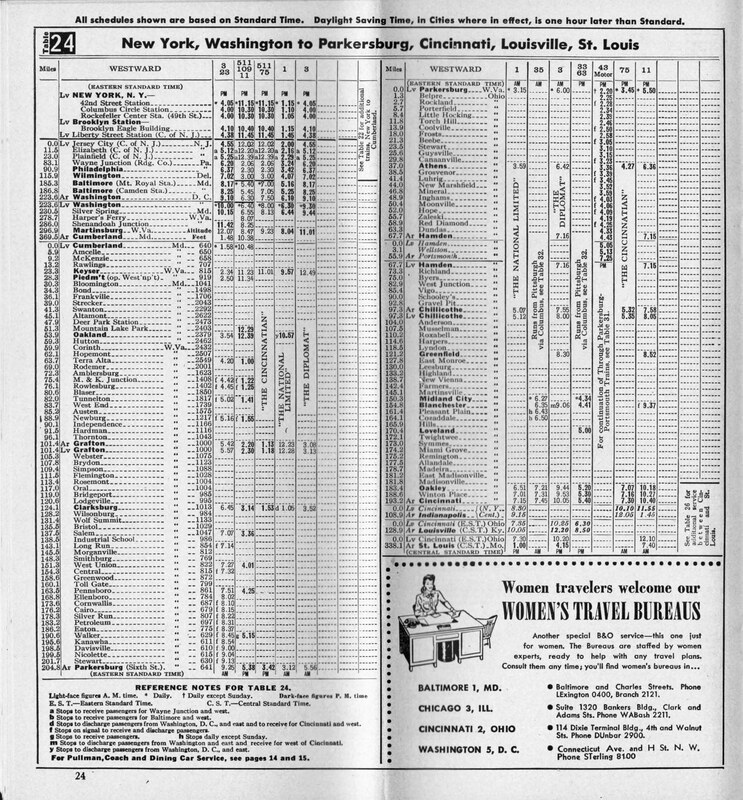 As per typical B&O custom, while the railroad may not have had the financial means of the Pennsylvania or New York Central every notable train it operated was fast and on time with on-board staff doing their very best to insure passengers were well cared for. For instance, as with the Cap and National, the Diplomat also carried a stewardess-nurse and the train ran only a few hours behind its more notable counterpart. 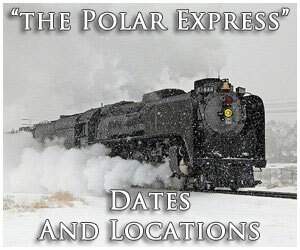 The route these trains operated was the B&O's other main line that reached St. Louis, branching from the Chicago route at the important terminal in Cumberland, Maryland (which remains a notable location today under CSX). It was then off to Grafton, passing through the rolling hills along the Parkersburg Branch to Parkersburg, West Virginia and crossing the Ohio River into the relative flat country of Ohio. This was followed by Cincinnati and the farmland of southern Indiana until the trains finally reached the Gateway To The West. Compared to the Cap's routing the National and Diplomat's was far less populated but remained popular enough for a number of years to warrant the B&O fielding two trains. 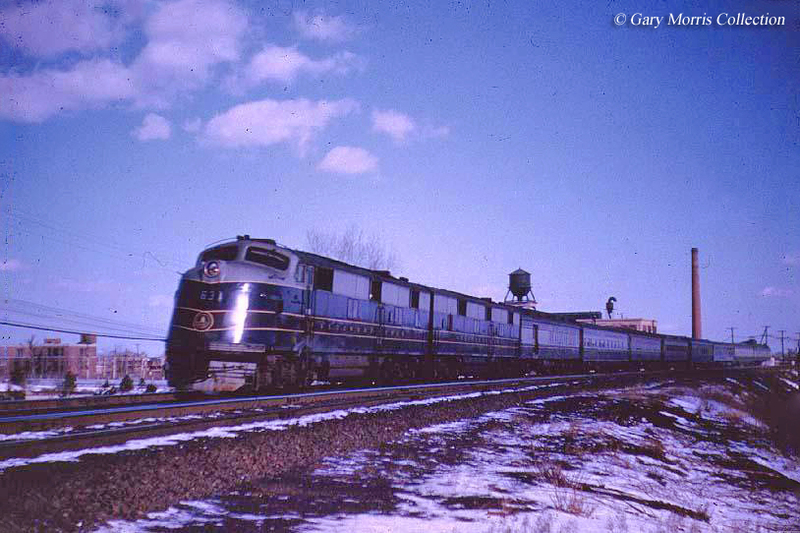 During the Diplomat's peak years it ran with heavyweight coaches and diners along with sleepers to New York in the east and Oklahoma City/San Antonio in the west via the St. Louis San Francisco Railway's (Frisco) Meteor and Texas Special (operated jointly with the Missouri-Kansas-Texas Railroad, or Katy). According to Craig Sanders' book Limiteds, Locals, And Expresses In Indiana, 1838-1971 the Diplomat of the 1940s carried three coaches, one diner, and two heavyweight sleepers. Surprisingly, despite its status it was an early candidate for dieselization, reequipped with new Electro-Motive E6As/Bs in 1942. Following the war in 1945 the B&O embarked on a campaign to heavily update its passenger fleet by either acquiring new, rebuilding additional heavyweight cars, or purchasing second-hand equipment from other railroads. 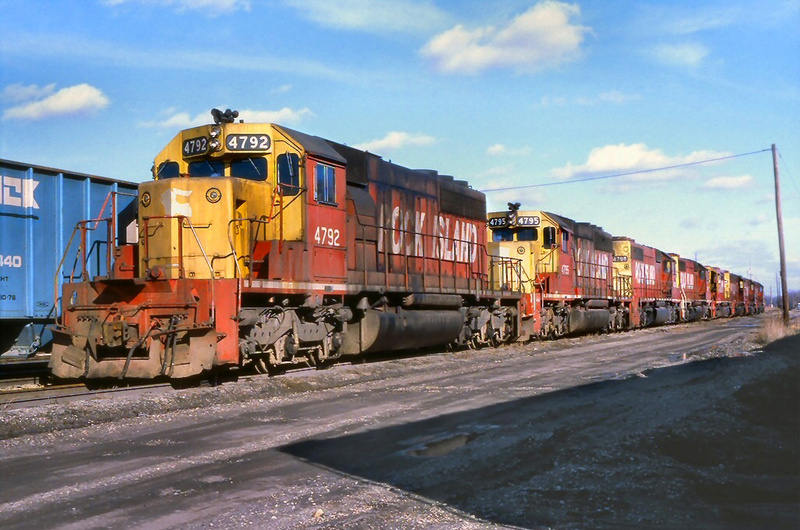 This task was accomplished from the end of the decade through the early 1950s and included more new diesels like the E7s, E8s, and even a few E9s (the Columbian, however, operated with new F3s). While the Diplomat was never streamlined it did receive some of this new power. Unfortunately, for the industry as a whole the return of post-depression passenger traffic during the war was not sustained after the end of World War II. As early as the 1950s the B&O considered combing the Diplomat and National since the former, even by then, was normally running with only two coaches except on weekends. After the 1957 holiday season the B&O stopped providing the stewardess-nurse service aboard the train. 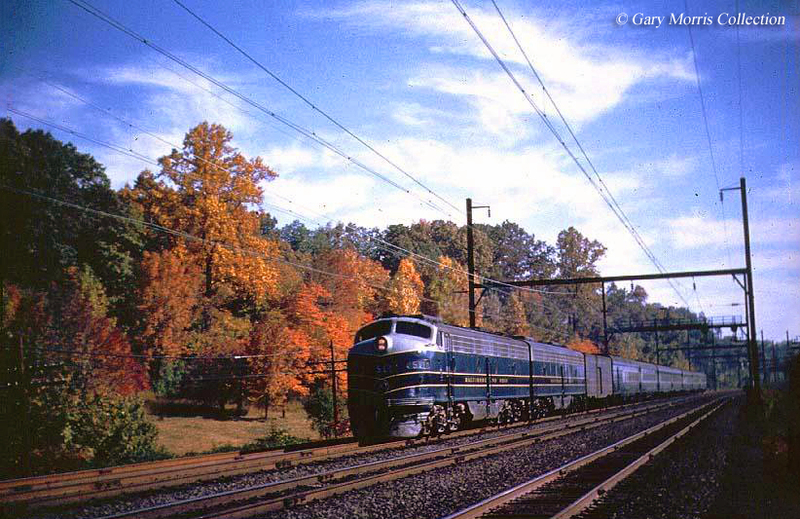 Then on April 27, 1958 the B&O ended all passenger service to New York City, ceding that market to rival Pennsylvania. 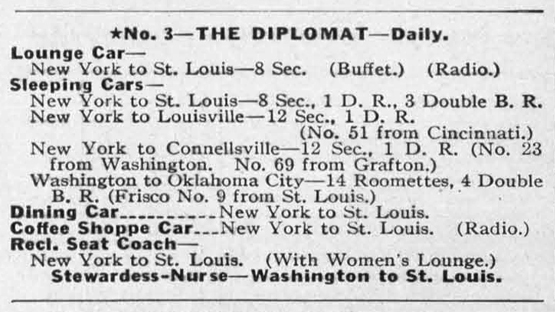 As such, all long-distance trains like the Diplomat were then truncated to only Baltimore/D.C. 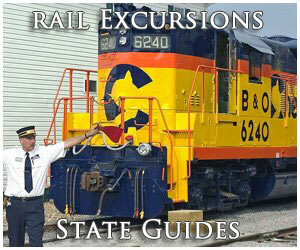 while the regional Royal Blue (Baltimore - Philadelphia - New York) was canceled altogether. The 1950s were not good years for the B&O, which was struggling to survive itself and despite its misgivings of cutting back passenger services the railroad simply had no choice in an effort to stave off bankruptcy. It further cutback the Diplomat east of Cincinnati after September 17, 1960 in part due to lack of traffic in that particular market (this was the same corridor the flashy, streamlined Cincinnatian ran but lasted only a few years because of the same problem). 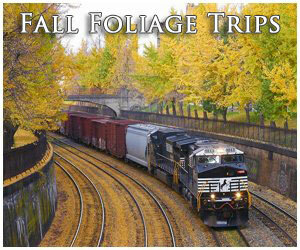 The move enabled the railroad to save $1.2 million annually. During its final years the Diplomat still operated between St. Louis and Cinncy with a coach, diner-lounge, and baggage lounge. Finally, the railroad pulled the plug, canceling the train after April 30, 1961. 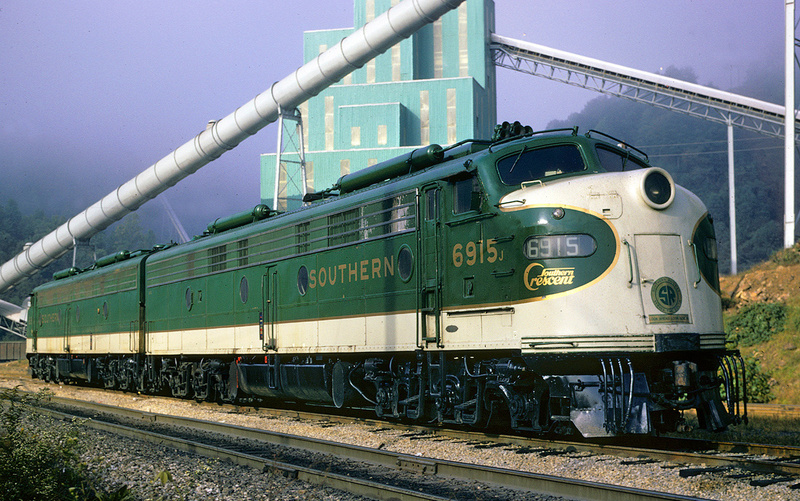 In an interesting move the B&O brought back the name in 1964 for the former Shenandoah, which served Chicago to Baltimore/D.C. Whatever the railroad's reasoning in doing this it apparently was not happy with the move and returned the Shenandoah name in 1970, just a little more than a year prior to the start of Amtrak. Until the end during the spring of 1971 the B&O's remaining trains continued to offer high-class service, clean accommodations, and a fast, on-time schedule.